Nelson enlisted in the United States Air Force in 1970. He initially retired after 32 years of active and reserve service in the United States Air Force. However, he was recalled to active duty by the Department of Defense/ State Department, Iraqi Reconstruction Management Office (IRMO) for a tour as the Military Acquisition Advisor to the Iraqi Acquisition Director in Bagdad 2005-2006. Nelson’s enlisted career field was in Civil Engineering, Site Development Specialist/ Manager. In nine years he obtained the rank of MSgt (E-7). He received a direct commission as a 2nd Lieutenant in 1980 and subsequently served in the Acquisition/ Contracting career field. In the ensuing 18 years he advanced to the rank of Colonel. During his career he had assignments in Europe and 15 locations in the United States; including a Pentagon tour in SAF/AQC. While assigned to Defense Contract Management Command (DCMA) in the Brig Gen Reservist slot he managed over 3,000 Air Force, Army, Navy, and Marine joint service staff and billions of dollars in supplies and services. Immediately after September 11, 2001, Colonel Mellitz managed the DCMA Headquarters Command Incident Mobilization Center that deployed troops and equipment in support of operations in Southwest Asia and CONUS. Colonel Mellitz has been recognized with numerous awards including: First Term Airman of the Year – Germany, Defense Logistics Agency Junior Officer of the Year, Defense Logistics Agency Senior Officer of the Year – Air Force Element, and the U.S. Ambassador to Iraqi Meritorious Service Award. Nelson Mellitz is a retired federal employee and his last assignment was as U.S. Department of the Treasury, Internal Revenue Service Northeast Area Chief Procurement Officer. In this senior manager job he had 26,000 internal customers in 13 States, managed billions of dollars in contracts. Nelson has taught federal government acquisition and contracting, and leadership courses at: Villanova University, Veterans Affairs Acquisition Academy, Defense Acquisition University, National Contract Management Association National Education Seminars, and others. He is a consultant to companies seeking to obtain and retain federal and State government contracts. He also provides training in Best Practices in Leadership. Colonel Mellitz is the Jewish War Veterans Chairperson, National Outreach to the Next Generation. He has served on the National Museum of Jewish Military History Board of Directors and is a past New Jersey State Commander of the Jewish War Veterans. In addition, Colonel Mellitz currently serves on the New Jersey Governors Veterans Services Council. In this capacity he is assigned as liaison to the VA Medical Center – Philadelphia, Vineland Veterans Memorial Home, and Veterans Haven South. 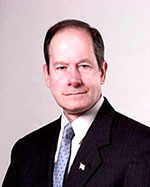 Nelson is a veteran representative on the Camden County Veterans Council and the Cherry Hill Veterans Council.